The location. Very friendly host/owner. Two bedrooms a big bonus when travelling with kids. One of the "owners" was quite helpful with organising bus times for us to get to other sights on the Aland Islands. We really enjoyed our stay on the island but it wasn't exactly because of Svino Stugby but more like in spite of it. 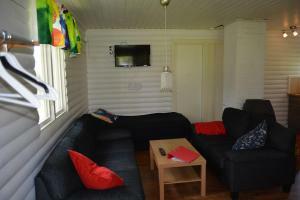 Fint läge vid vattnet, mysigt med kamin i stugan, bra köks del med diskmaskin, härligt att ha tillgång till båt för fiske som avslutas med bastubad. Henkilökunta varsinkin monitoimimies Kai on todella auttavainen, ystävällinen ja huumorintajuinen. Hän ansaitsee kyllä isot kiitokset kaikesta. Merinäköala oli meidän mökistä hyvä. Keittiö oli siisti, niin kuin muutkin tilat. Meidän mökissä huonekalut uudehkoja ja viihtyisiä. Terassi ihana. Aurinkoa ja pieni tuulenvire. ihanaa! Hyvä grilli meidän terassilla. Kiva rauhallinen sijainti, sopi hyvin perheelle kahden pienen lapsen kanssa. Ranta ihan vieressä ja kivat maisemat. Mökki oli toimiva, siisti ja kaksi makuuhuonetta oli plussaa. Sauna rannassa, johon sai aina varattua vuoron kun halusi. Mökissä kiva tilava terassi iltapäivä- ja ilta-aurinkoon. Mycket fint läge och en väldigt trevlig värd. Fint med bastu vid stranden, bra fiske och en fantastisk miljö. Avaimet tuli kyllä heti kun soitimme. Etukäteen emme saaneet juuri minkäänlaista tietoa. Kieliongelmia oli todella paljon, suomenkieltä ei puhuttu laisinkaan, vaikka netissä luki puhumme kieltäisi. 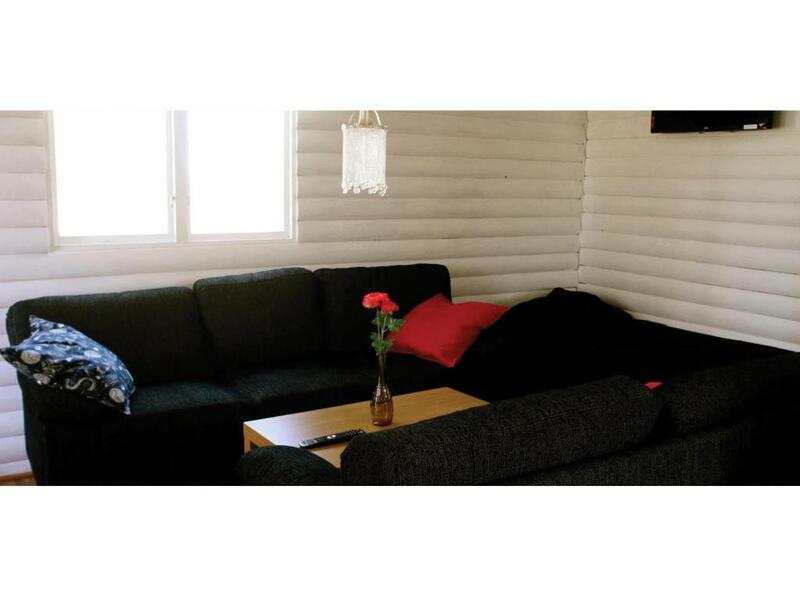 Svinö Seaside Villa This rating is a reflection of how the property compares to the industry standard when it comes to price, facilities and services available. It's based on a self-evaluation by the property. Use this rating to help choose your stay! 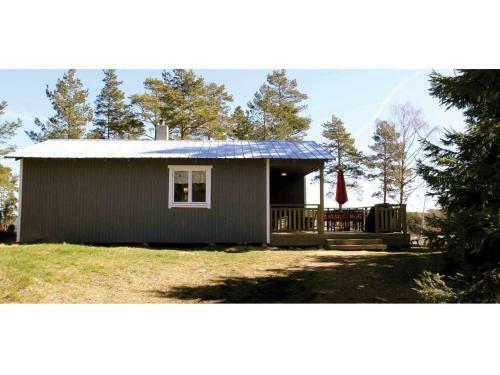 This southern Åland Island property is 16 mi from Mariehamn. It offers seaside cottage accommodations, as well as a café, grocery store and a sauna. Fully-equipped kitchens and private bathrooms with heated floors are standard at Svinö Seaside Villa. A flat-screen TV, barbecue facilities and sea views provide entertainment and relaxation at each unit. There is free WiFi through the property. Svinö Boule Bar offers guests dining and refreshment options, while a daily breakfast service is available. Guests can enjoy 1 free hour/day in the seaside sauna, along with on-site bicycle rental. 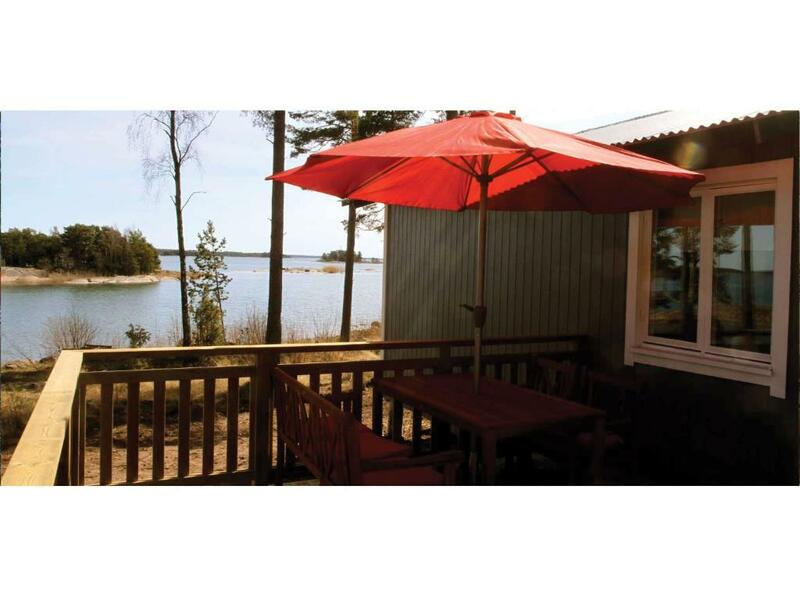 The 24-hour front desk staff at Svinö Seaside Villa can also arrange fishing and sea-kayaking activities. Mariehamn Airport is 17 mi away from the cottages. Free private parking is possible at the property for guests arriving by car. 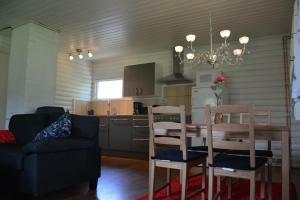 When would you like to stay at Svinö Seaside Villa? This holiday home features a sea view, a fully-equipped kitchen, a TV and a patio with a gas BBQ. 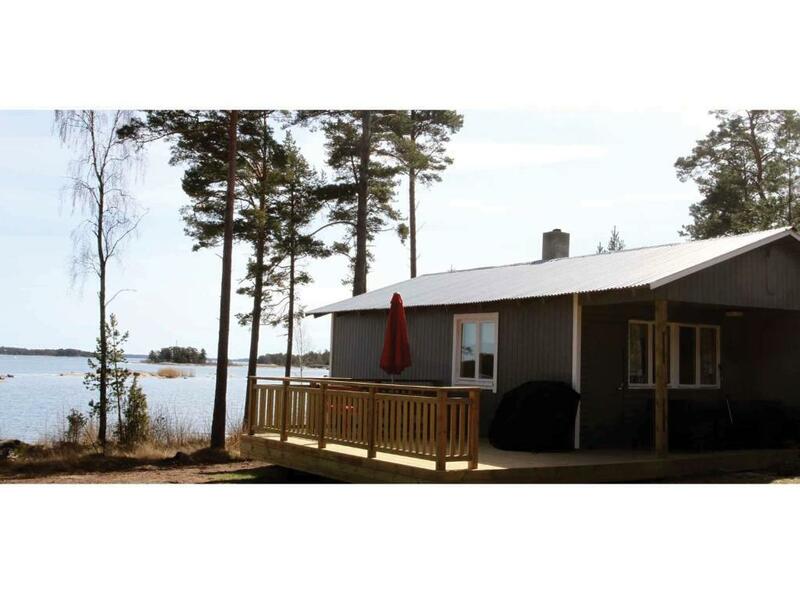 House Rules Svinö Seaside Villa takes special requests – add in the next step! Svinö Seaside Villa accepts these cards and reserves the right to temporarily hold an amount prior to arrival. Please inform Svinö Seaside Villa of your expected arrival time in advance. You can use the Special Requests box when booking, or contact the property directly using the contact details in your confirmation. Seaside view was nice. Peace and quiet. It was a long way from everything of interest on the Aland Islands. Initial email contact was non-existent - and of no help in getting to a remote location. The "villa" was a very basic cottage. The reception cafe breakfast area was not operating! A generally poor experience. The online photos were quite deceptive - promising more than reality. We could have done with oven gloves, baking paper (I washed dirty oven trays left by the last guests),salt, matches. The stove for the sauna did not heat the sauna properly.